When you need help with a flat tire, getting your vehicle unstuck, or other roadside emergency, you need it now! 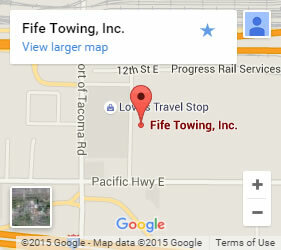 Fife Service & Towing offers fast, efficient, and well-prepared roadside assistance Puyallup relies on. Whether you have left your lights on and need a jumpstart or you have locked your keys inside your car, we come to your rescue fast and ready to help, 24/7! Our roadside assistance dispatcher offers friendly, honest information on how quickly we will arrive. We have a fully-stocked fleet of roadside assistance vehicles covering a wide-ranging service area. No matter where you are in Puyallup, we are never too far away. Our certified, experienced technicians are well-schooled in problem-solving roadside assistance issues, from expertly working a wench to topping off fluids to stave off an overheating engine, and everything in between. We have offered roadside assistance to Puyallup residents and companies for over 65 years! As a locally-owned company, we stake our reputation in each service we provide, one person at a time. All of our professionals are hand-selected for their skills and experience as well as their ability to offer excellent customer care. 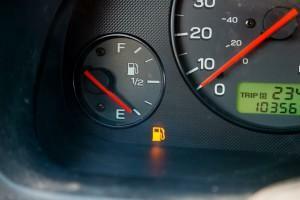 We understand that a breakdown, for any reason, can frazzle your nerves. That is why we get to you fast, offer expedient services, and talk you through the process so you understand what is happening, from our original assessment of the situation, to our plan, to the final outcome. If your vehicle needs repairs that simply need to be done in a repair shop, we are able to tow the vehicle home or to your repair shop of choice. We also offer commercial towing and services. We get you and your car off the road where you are safe—that is our commitment to you! Call us for any roadside assistance need. Think of us as a trusted friend, already on the way! 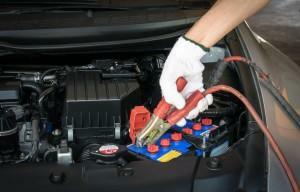 We are the prefered roadside assistance Puyallup trusts.